Buy direct from the Spring from 79p inc delivery. 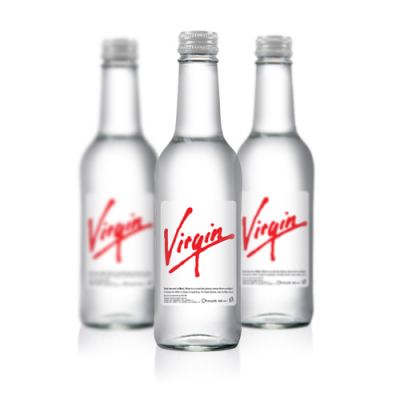 High quality promotional glass bottled mineral water, bottled at source. 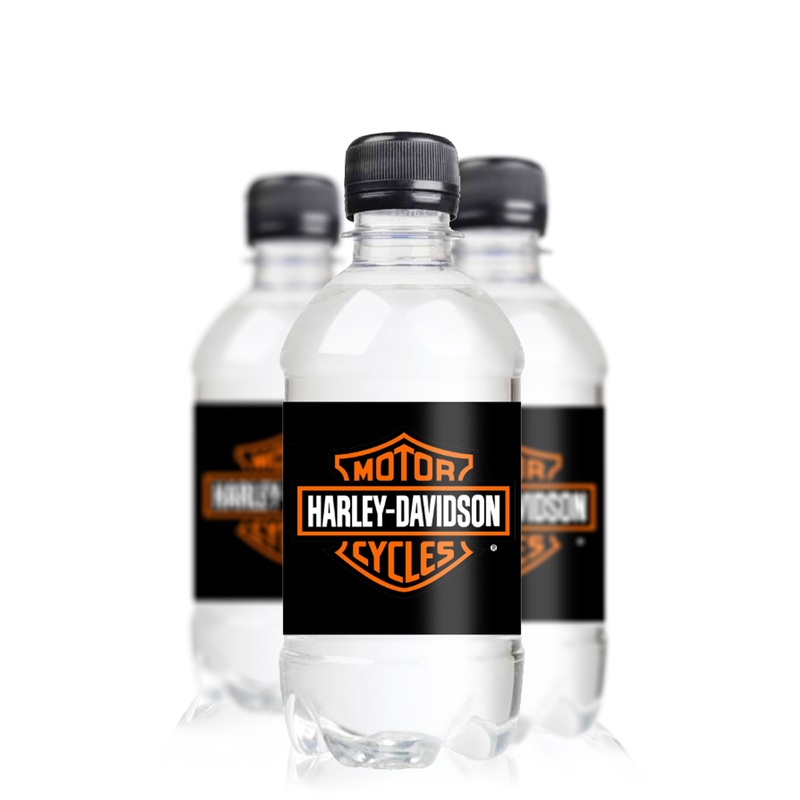 Supplied in 750ml Glass Bottles topped with metal screw caps. 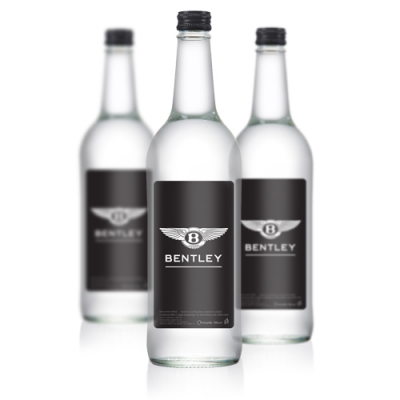 Labels are printed in full colour as standard finished with high gloss varnish. Ideal for the perfect branded table water displaying an advert or message of your choice. 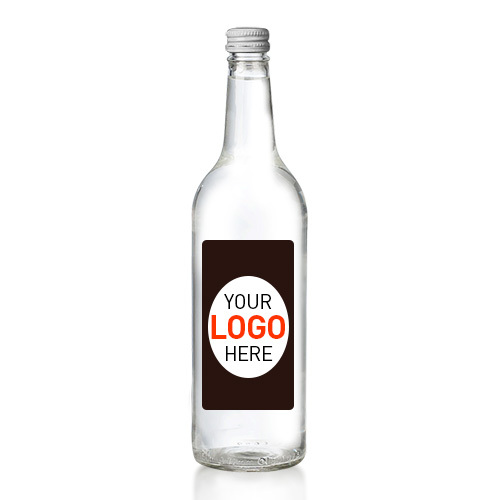 Bespoke label designs are available at extra cost. Choice of Still or Sparkling available. 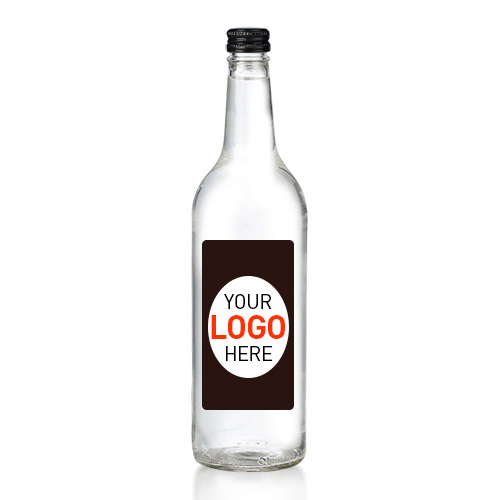 Our normal turnaround is 10 working days from approval of artwork or payment if your order is required sooner we have an express service of 7 working days at an additional £50. Due to the logistics and groupage of some consignments orders may be despatch earlier and held at holding hub before being released to the final destination. Please note the courier can only deliver the consignment to a ground floor destination (External door only). You will need to make arrangements if you need help in unloading the bottles from the pallet.